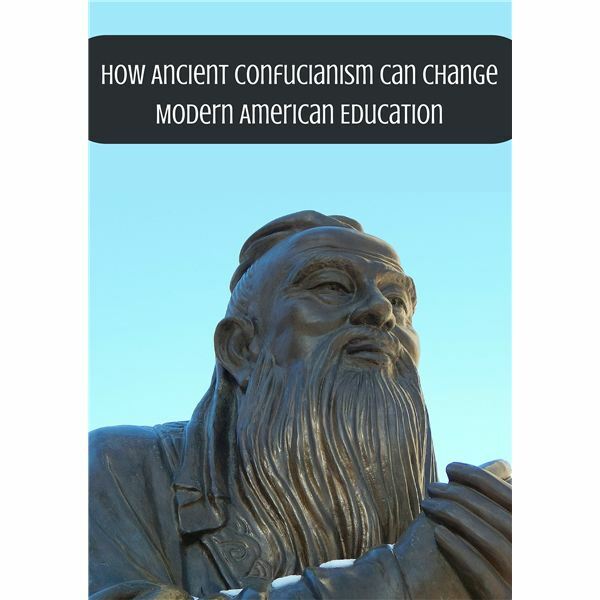 For over two millennia, Confucianism has been the backbone of education in China and the rest of Asia. The philosophy is based on the teachings of Confucius, who lived from 551-479 BC. Details of his life, naturally, have become mythical and contradictory. Some say he rose up from a life of poverty. Others say he was born in privilege. He became an influential philosopher, politician and educator during a tumultuous period of Chinese history. Three families were fighting for control of the Lu state. Confucius sought to bring harmony to the people. Education, morality and respect were among his core values. Power was achieved by warlords with the strength to take it. They recognized that in order to keep it, they needed educated persons to rule. The skills to conquer were not the same necessary to maintain control. Education was traditionally only available to the wealthy. Confucius changed that. He gave the common man an opportunity to prove his intelligence and earn the recognition of the ruling class. To Confucius, there were two types of men. Peasants think only of pay. They are always seeking external guidance and approval. Gentlemen think of what is right, look within for guidance and have strong self-discipline. A society has room for many peasants but only a few gentlemen. Often the gentlemen are from upper class families, but a peasant can prove himself and elevate his status. Confucius established a system of schools and exams enabling any peasant to become one of the gentlemen. But it wasn’t easy. The Civil Service Exams separated those with the potential to rule from the masses. The exams were divided into three levels: local, provincial and national. To prepare for them, young men rigorously studied music, archery, horsemanship, writing, arithmetic and rituals. Eventually these disciplines became military strategy, law, taxation, agriculture, geography and the Confucian classics. The local exams tested students on poetic form, poetic composition and calligraphy. At the provincial level, students spent up to 72 hours proving their knowledge of the classics. A student who made it to the national level would be challenged to provide solutions for various political problems. Success rates for these exams were as low as two percent. Personal anguish and sometimes suicide accompanied failure. Some students spent their lives continuously studying and retaking the exams until they were old and gray. Success in the exams meant not only personal reward but also prestige for the entire family. A man from the lowest beginnings could become a ruler through this process. The tradition of grueling study concluding with a rite of passage continues in China, Japan, South Korea and elsewhere in Asia. School is not a fun time, but it prepares a person for the rest of life. Confucian education remained the standard in China for over two thousand years. Billions of students studied and recited his writings. Much of student life was absorbing and repeating the contents of Confucian classics. The communist-led Cultural Revolution of the 1960s saw antiquated Confucianism as an obstacle to modernization. Leaders aggressively scrapped it in exchange for new teaching methods. Decades of prosperity followed, resulting in a new and prosperous semi-capitalist China. Yet parents are returning to the teachings of Confucius. Chinese society is becoming more materialistic and shallow. Confucian values of humility, service and simplicity are making a comeback. Confucian schools are popping up inside and outside the country. The Education Ministry sponsors Confucius Institutes in over 50 countries. Just like the lessons of the Bible, however, the concepts of Confucius are so numerous authorities can pick and choose the parts that serve them best. Parents of rebellious children can grasp the idea of filial piety. The communist government can interpret the goal of a “harmonious society" to mean a population without dissent. To Confucius, “harmony" meant an educated populace with the same values and goals. Stepping away from philosophy and history to examine business, China is an economic force the world must learn to work with. Students today need to be prepared for a future where China is universally involved. Understanding their culture and language is essential. Confucius can be that bridge. Studying his teachings and their influence on the region provides a method to reach across the globe. Confucius continues to reach out thousands of years after his death. Online and in person, Confucian schools and societies are easy to find. The Chinese Confucius Institute Online, for example, has nearly a half million students and almost four thousand teachers. It works with over 70 partners to spread Chinese language and culture. Confucian philosophy has already extended deeply into the culture of the Western world. The commonly repeated Golden Rule comes not from the Bible or Koran, but from Confucius. The concept of peasants and gentlemen equates closely to blue collar and white-collar labor. Education distinguishes those who work with their hands from those that lead them. The world needs to work with China as a global business partner. As they have been for thousands of years, the teachings of Confucius are still the best way to look into their minds and hearts.